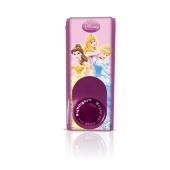 Disney Princess Mini Box Desktop Speaker-USB Interface , Retail Packaged , Disney Speakers: - USB Digital Speaker. 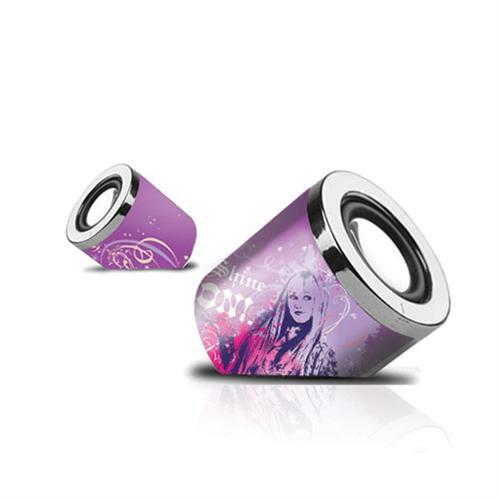 - Multimedia stereo speaker system - High quality Audio - for notebook PC,IPOD,MP4,MP3 Small, lightweight and powerful. 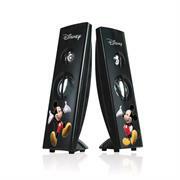 Disney Mickey Mouse Tower Desktop Speaker-USB Interface, Retail Packaged , Disney Speakers: - USB Digital Speaker. 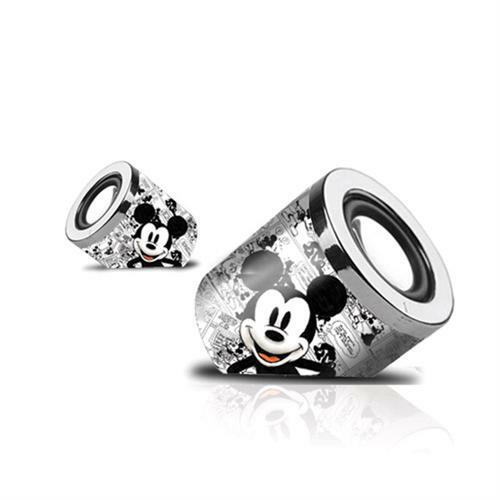 - Multimedia stereo speaker system - High quality Audio - for notebook PC,IPOD,MP4,MP3 Small, lightweight and powerful. 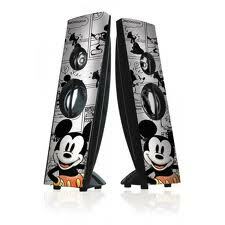 Disney Mickey Mouse Desktop Speaker-USB Interface, Retail Packaged , Disney Speakers: - USB Digital Speaker. 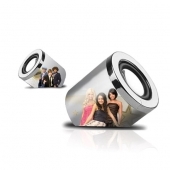 - Multimedia stereo speaker system - High quality Audio - for notebook PC,IPOD,MP4,MP3 Small, lightweight and powerful. 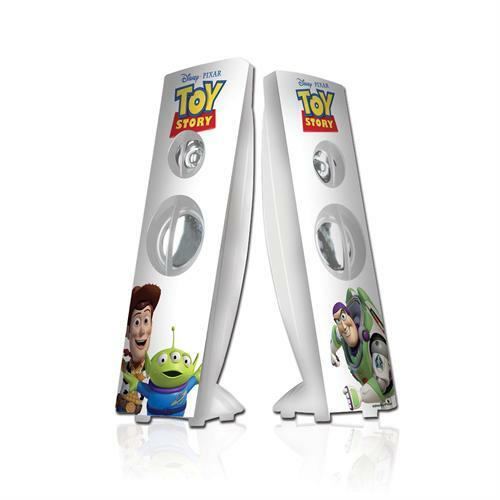 Disney Toy Story Tower Desktop Speaker-USB Interface, Retail Packaged , Disney Speakers: - USB Digital Speaker. - Multimedia stereo speaker system - High quality Audio - for notebook PC,IPOD,MP4,MP3 Small, lightweight and powerful. Disney High School Musical Mini Drum Speaker-USB Interface, Retail Packaged , Disney Speakers: - USB Digital Speaker. - Multimedia stereo speaker system - High quality Audio - for notebook PC,IPOD,MP4,MP3 Small, lightweight and powerful. 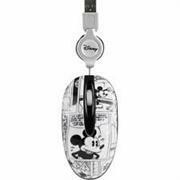 Disney Hanna Montana Mini Drum Speaker-USB Interface, Retail Packaged , Disney Speakers: - USB Digital Speaker. - Multimedia stereo speaker system - High quality Audio - for notebook PC,IPOD,MP4,MP3 Small, lightweight and powerful. Laptop bag with Disney exclusive design. For outdoor use, but also for day-to-day use. Made of nylon 100% , a very hard wearing material to protect your laptop of blows, scratches and duty. With handle and adjustable shoulder strap to ensure a comfortable carrying. Multiple accesories compartments. Padded interior to protect your hardware. 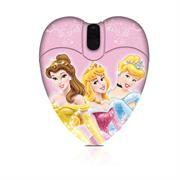 For laptops and netbooks up to 10". For the best on-the-go carrying solution, this stylish is the answer!Hand luggage compatible. This stylish Wireless 3D Ergonomic design USB optical mouse featuring characters from Toy Story is a 3 buttons mouse including a convenient scroll wheel that gives you easier more flexible navigation and acts as the third button. 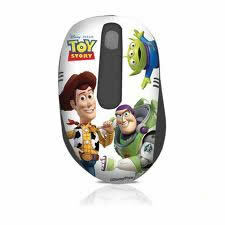 This mouse features 800 DPI optical sensor resolution, for precision and high accuracy movement that will work on most surfaces(except glass)with accuracy and consistency. Enjoy up to 10 metres (33 feet) of operating range, thanks to the ultrafast 2.4 GHz RF wireless technology. Just plug the USB Nano receiver into your computer or notebook and start breezing through games, web pages and more. 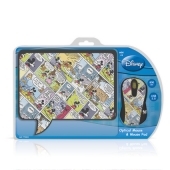 This stylish design mouse and mouse pad gift set featuring all-time favourite Disney characters is the perfect gift for teenagers and kids of all ages. 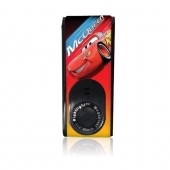 This 3 button mouse including a convenient scroll wheel and with up to 800 DPI optical sensor resolution for precision and high accuracy movement that will work on most surfaces. The Mouse Pad is a great collector’s item that will stylizes your environment. 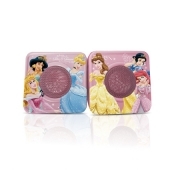 These mouse pads are made from PVC and natural rubber for a smooth texture that provides precision movement and comfort. 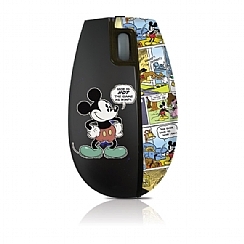 Get the optimal use with this mouse pads as it offers greater agility upon sliding of the mouse. 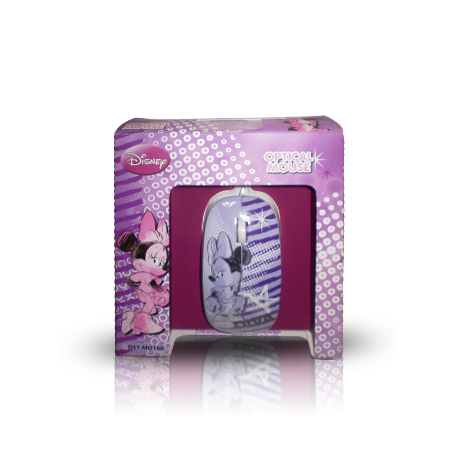 This 3 button mouse including a convenient scroll wheel and with up to 800 DPI optical sensor resolution for precision and high accuracy movement that will work on most surfaces with accuracy and consistency. An ergonomic mouse with ambidextrous design makes working comfortable whether you're left or right handed. 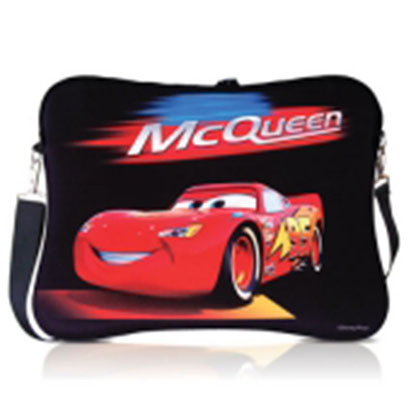 Laptop bag with Disney exclusive design. For outdoor use, but also for day-to-day use. 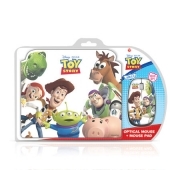 Made of nylon 100% , a very hard wearing material to protect your laptop of blows, scratches and duty. With handle and adjustable shoulder strap to ensure a comfortable carrying. Multiple accesories compartments. Padded interior to protect your hardware. For laptops and notetbooks up to 15". For the best on-the-go carrying solution, this stylish is the answer!Hand luggage compatible. that love the most successful movie that the Disney Channel Original Movie has produce to date. resolution for precision and high accuracy movement that will work on most surfaces. 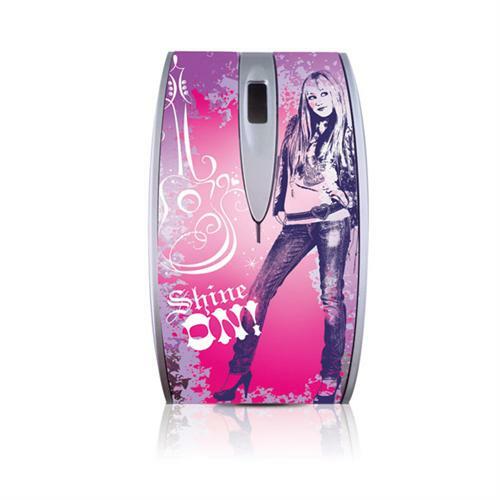 This stylish design Plug and Play mini mouse featuring Hannah Montana-Pop Star is an excellent tool for pinpoint accuracy. It is small, lightweight, consumes virtually no room in laptop carry-bags. movement and will work on most surfaces. 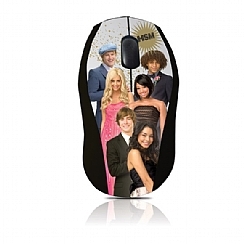 Ideal for use by mobile professionals, teenagers and kids. 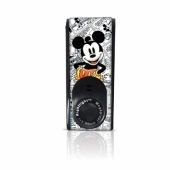 This stylish Plug and Play design mini mouse featuring Mickey Mouse is an excellent tool for pinpoint accuracy. 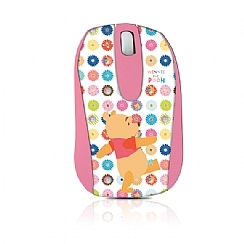 Ideal for use by mobile professionals, notebook users, teenagers and kids. The perfect gift for teenagers that love the Disney Hannah Montana series.